The CMS needs to further adjust pay rates for Medicare Advantage plans, according to a government report (PDF), to more accurately reflect their beneficiaries' health and to avoid overpaying for the care of patients who are not as ill as the insurers claim. The report by the Government Accountability Office, made public by congressional Democrats, reviewed a pay adjustment established in recent years to overhaul the rate Medicare pays the private insurers that cover about a quarter of the program's beneficiaries. The adjustment aims to offset the tendency of Medicare Advantage insurers to overstate health problems in their beneficiaries, which in turn increases the rate the insurers are paid to care for them. The adjustment resulted in about $2.7 billion less in 2010 Medicare spending on Medicare Advantage plans—to which the CMS paid $114 billion that year—according to the GAO report. However, that adjustment was likely insufficient to capture the overdiagnoses among the insurers' enrollees, the GAO report found. 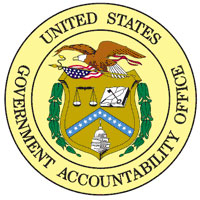 Additionally, CMS overpayments will continue because CMS officials decided to reuse the same adjustment in 2011 instead of updating it to reflect what the GAO reviewers see as an increasing trend of overstating illness among those beneficiaries. House Democrats, generally critics of Medicare Advantage programs, responded to the report by calling for the CMS to accelerate the adjustments as a cost-saving move.